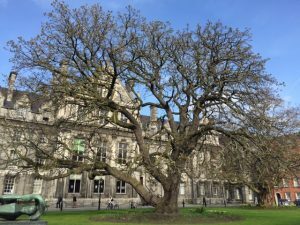 Dublin: Sightseeing and eating our way through Dublin for a couple of days then on to Galway for some possible fishing on Lough Corrib, the second largest lough in the island of Ireland. Mike is searching for “his people.” Our new friend, Ken, of the Atlantic Salmon Trust, whom we met at The London Fly Fishing Fair, said that Mike’s name in Irish is pronounced, Mee-hall O-Gy-rah. Imagine that. 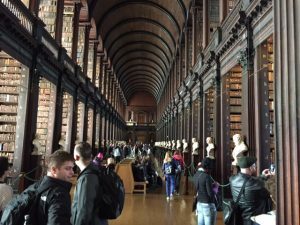 Yesterday we visited Trinity College and went through the museum of The Book of Kells and The Long Hall.